The GeForce GTX 1660 Ti is the first Turing-based graphics card that doesn’t feature any real-time ray tracing and DLSS features. 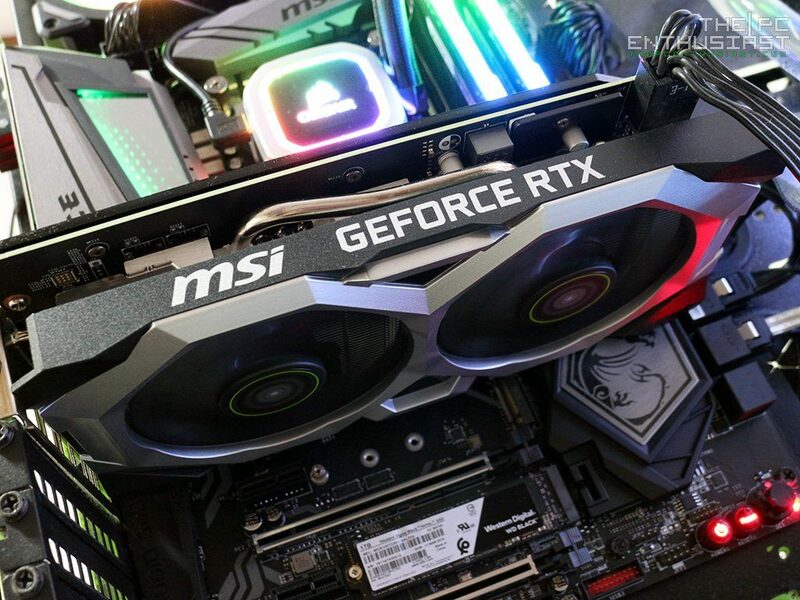 It’s a “semi-midrange” graphics card, just like the RTX 2060; but the RTX 2060 features real-time ray tracing and DLSS. And based on MSRP, there is a $70 price difference between the GTX 1660 Ti and RTX 2060. Not to mention, if you plan on getting a “higher-end” version of a GTX 1660 Ti that usually cost around $289-$329, it’s only a few dollars away and you could get a good RTX 2060 at reference price. You’re most likely here because you want to know which graphics card should you buy; a GeForce GTX 1660 Ti or an RTX 2060. 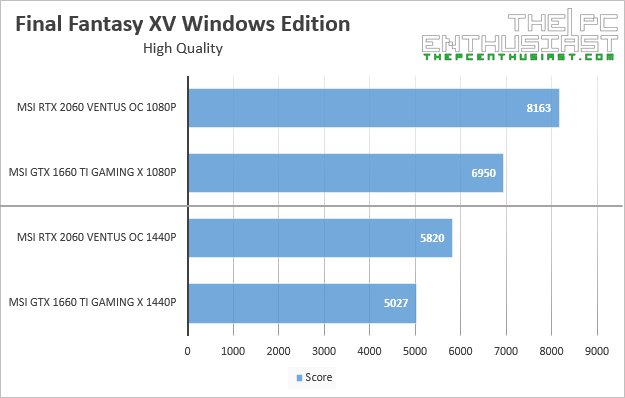 You want to know the performance difference between an RTX 2060 vs a GTX 1660 Ti. Which one is worth buying for your setup or which graphics card is the better deal. 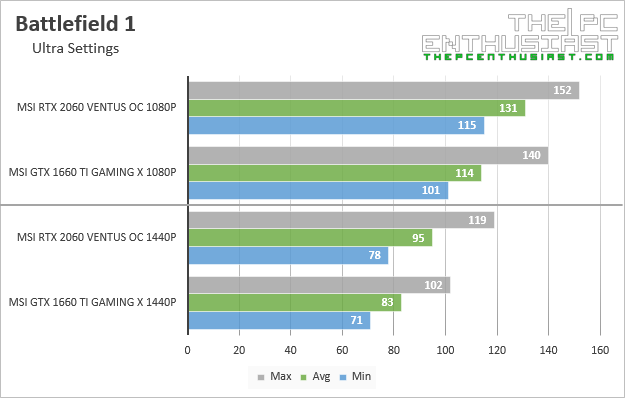 We have tested and reviewed both graphics cards; if you don’t want to go through their individual reviews, this article will show you a comparison of just the two graphics cards; more like a summary. Go ahead and check the results below. GeForce GTX 1660 Ti vs RTX 2060 – To RTX or Not? In this comparison, we are going to compare the MSI GeForce GTX 1660 Ti Gaming X vs the MSI GeForce RTX 2060 Ventus OC. Both graphics cards come with a factory overclock speeds compared to the reference model. 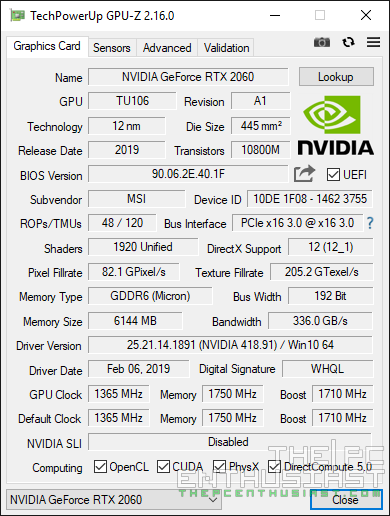 There is no “Founders Edition” variant for the GTX 1660 (Ti) graphics card, but there is an NVIDIA GeForce RTX 2060 Founders Edition. The GTX 1660 Ti Gaming X is priced higher compared to the reference GTX 1660 Ti. It comes with an SRP of $309, while the reference GTX 1660 Ti is $279. But this is not the most expensive GTX 1660 Ti we have seen in the market. The Asus ROG Strix GeForce GTX 1660 Ti 6GB OC Edition currently retails for $329.99. Just add $20 and you can get an RTX 2060 from Zotac, Gigabyte or EVGA already. 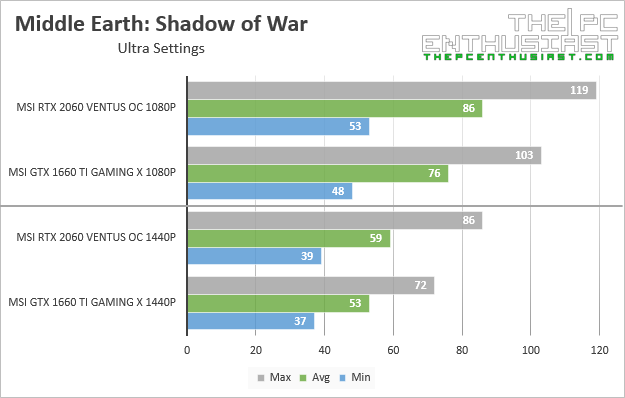 Take note, being the most expensive (GTX 1660 Ti) graphics card model doesn’t mean it’s significantly faster than the other competing (GTX 1660 Ti) graphics cards. NVIDIA’s latest GPU Boost is really good at balancing things out and it will automatically boost your graphics cards above its clock speed as long as it’s not thermally throttled or power limited. So between the most expensive GTX 1660 Ti and a reference RTX 2060, I think you already know which one is the better buy. Not unless you want the aesthetics or looks of the graphics card or you are loyal to a brand. 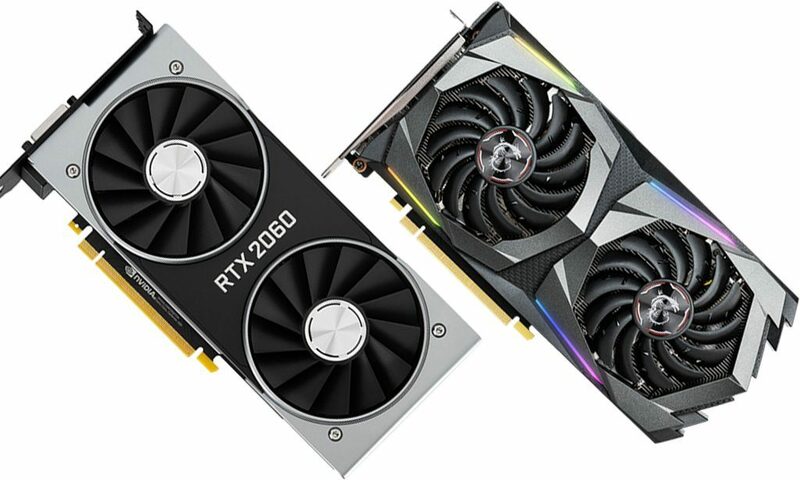 GeForce GTX 1660 Ti vs GeForce RTX 2060 Conclusion – So Which One To Buy? The performance difference between the GTX 1660 Ti vs RTX 2060 is not that huge or significant; it’s just one-step higher as expected. But it does have an impact depending on the type of games you play and how graphics intensive they are or not. I don’t think buying a (really) expensive GTX 1660 Ti model is worth it, especially if the price is already a few bucks away from a base model RTX 2060. Better save and get an RTX 2060 instead, if that is the case. Based on the results we got, looks like the GTX 1660 Ti is a good graphics card for 1080p gaming. It can push frame rates well above 60 FPS, depending on the game that is. 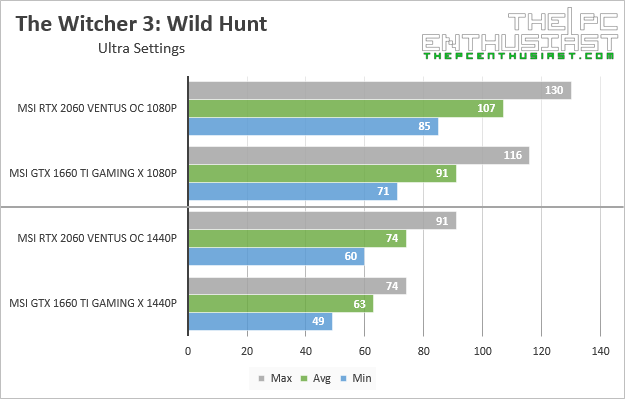 You may need to adjust the graphics quality for graphics intensive games. 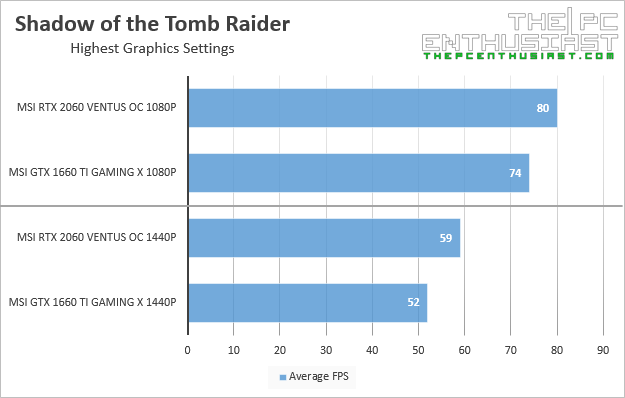 Remember that when we benchmarked the games, we used their respective highest graphics quality settings. I’m more positive that with eSport title games frame rates would be much higher. For 1080p 120Hz / 144Hz or high refresh rate monitors, I don’t think the GTX 1660 Ti is capable enough with AAA title games, not unless you sacrifice some graphics fidelity. Again this will depend on the type of games that you play. The RTX 2060 on the other hand is a good graphics card for 1080p high refresh rate monitors and 1440p monitors. There are a lot of 1080p 144Hz FreeSync monitors that are compatible with G-Sync already. It can definitely push those frames if you are using a 1080p high refresh rate monitor and it’s just enough for 1440p monitors when playing AAA games. But for 1440p 144Hz or high refresh rate monitors, I would leave that to an RTX 2070 or RTX 2080 instead. Again, expect to get more frames per second with eSports games since they are easy to drive compared to AAA games. What about if you plan to play games with real-time ray tracing and/or DLSS? The answer is very obvious, if that is the case. Better get the RTX 2060 (or above) for that matter. Yes, we are aware that NVIDIA recently enabled ray-tracing features with some GTX Pascal and Turing graphics card via an upcoming driver update. However, we are not sure how well ray-tracing will perform with non-RTX graphics card at this point. You may be able to enable ray-tracing but if you can only enjoy a low-level quality of ray tracing, in my opinion, better not use ray-tracing at all. I hope this article helped you in one way or another or cleared some of your questions. If you find it helpful, please share it with your friends. Also check out our RTX 2060 Compared and GTX 1660 Ti Compared. You can find which variant is the best for you in those articles.